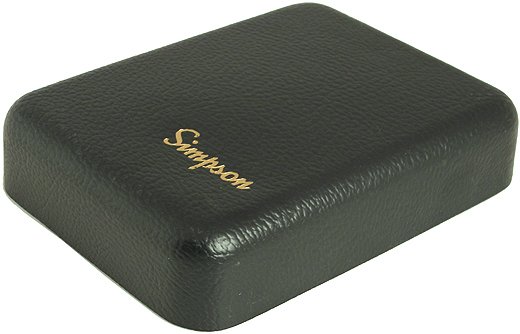 Simpson leather carrying case for 461 meter. 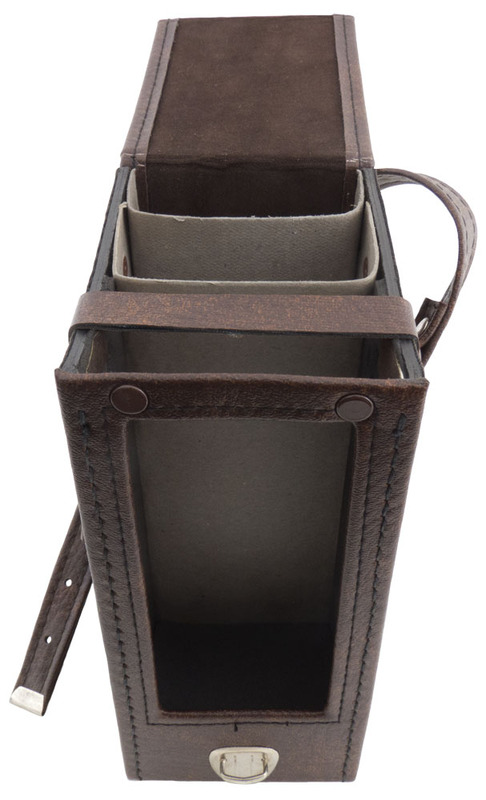 Features adjustable shoulder strap, input/output holes, extra compartment in back, and secondary case that fits neatly inside. New in box. High impact yellow fiberglass and aluminum construction. Suitcase style. Velcro straps inside of lid for securing individual cables. Brand new, never used. Air / water tight with relief valve on side. P/N: 128SME60634-3. Mfg. P/N: 74384. New, never used. MER/TER - HARM - MARVERICK. 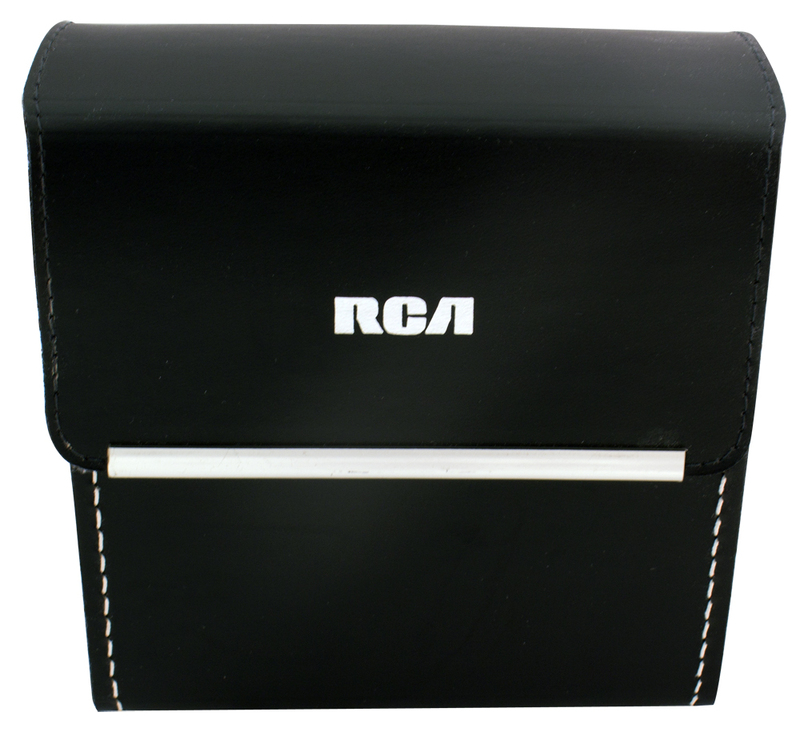 • Exterior dimensions: 7-3/4" x 19-3/4" x 25-5/8"
RCA leather carrying case. 6" x 8-1/2" x 2-3/6"H max dimensions. New in box! Only 1 available! 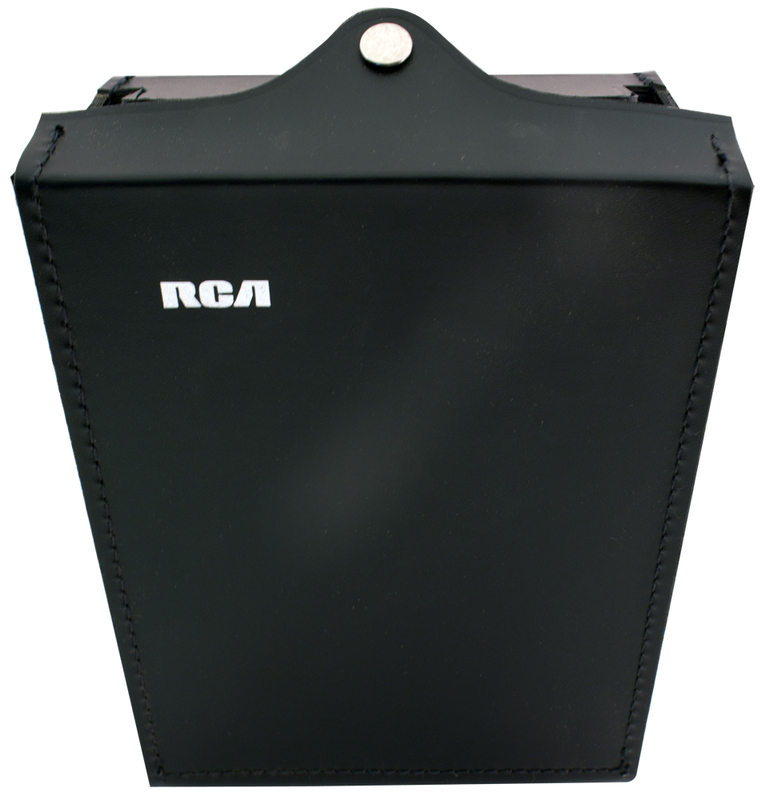 RCA leather carrying case. 5-1/4"W x 5-1/4"H x 2-1/4" deep; max dimensions. New in box! 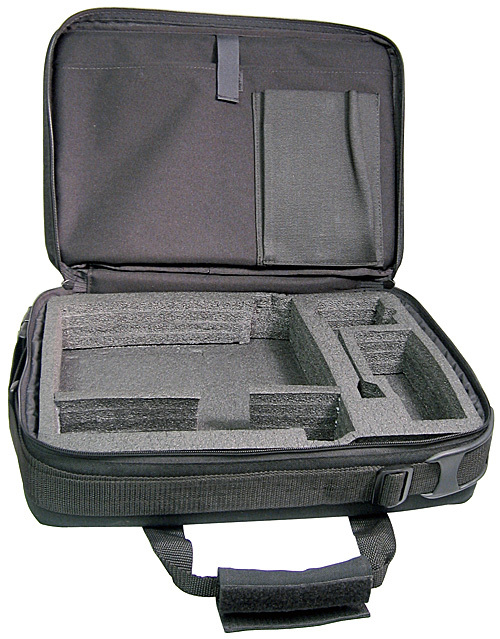 UFP Technologies soft sided carrying case. 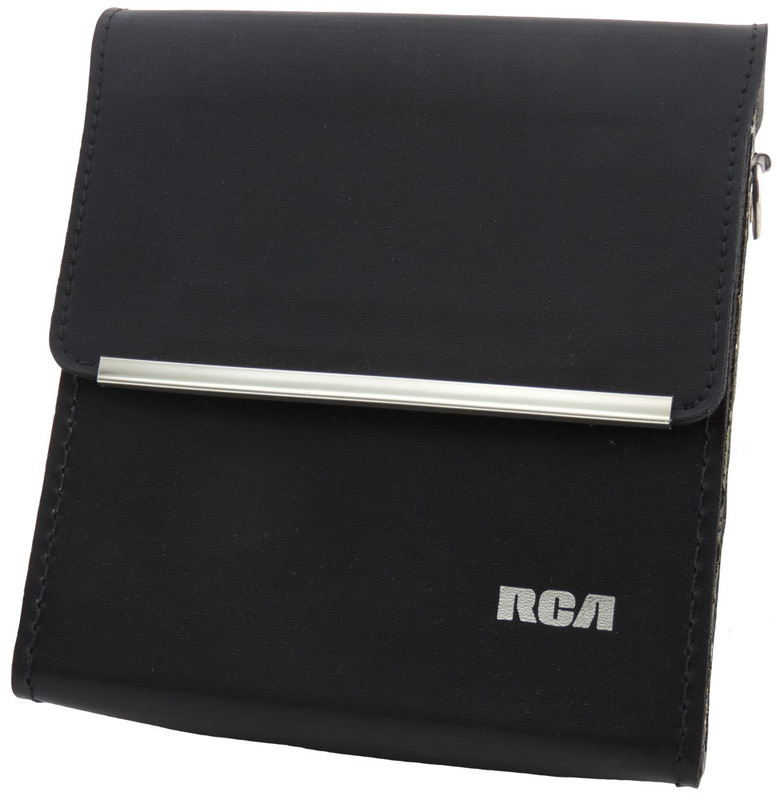 Durable black nylon / canvas type material. Zippered on 3 sides. (2 zippers). Removable foam insert. Adjustable shoulder strap. File folders fit inside. 6" x 8" interiorpocket. Interior dimensions: 11-1/2" x 16" x 3". Exterior dimensions: 13" x 17" x 4-1/2". New, unused. Many possible uses....laptop? Simpson cover for 260 VOM. Brand new. 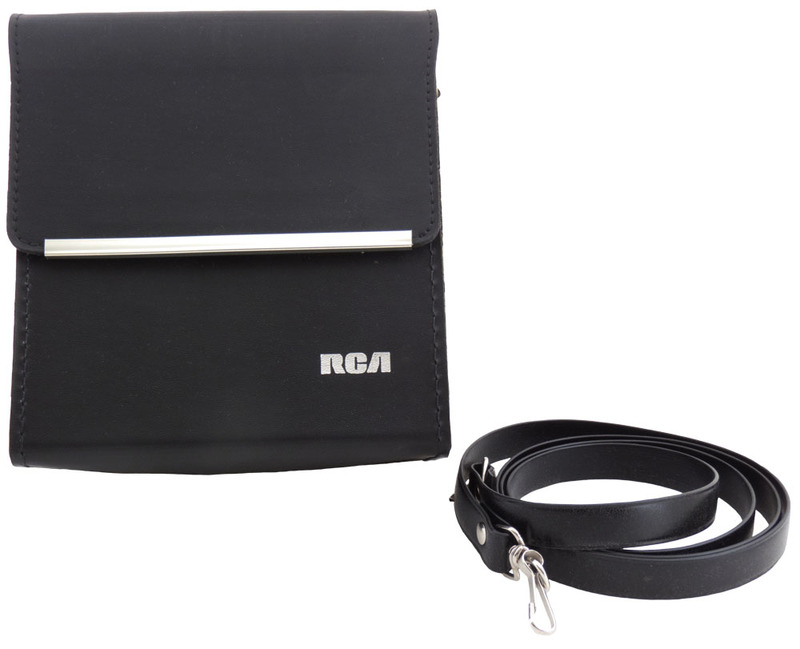 RCA leather carry case with strap. Chrome trim strip, velcro flap. Inside dimensions: 6" x 2-1/2" x 6-1/2"H. New in box! 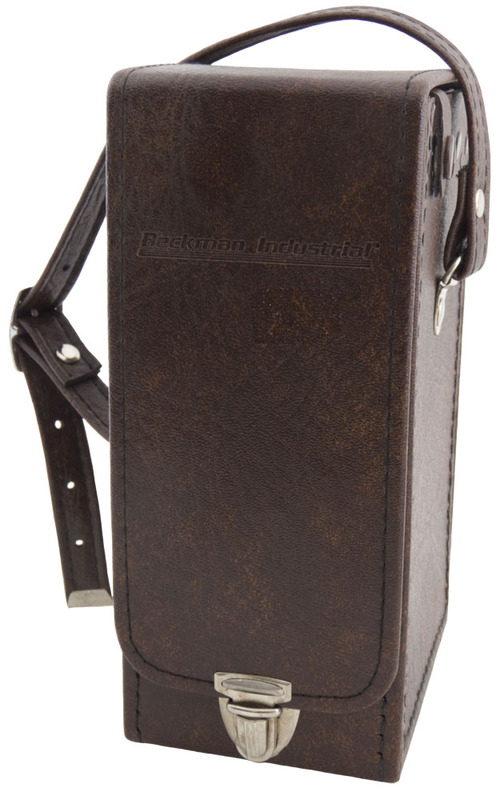 Beckman deluxe leather carry case. HD 150 series. 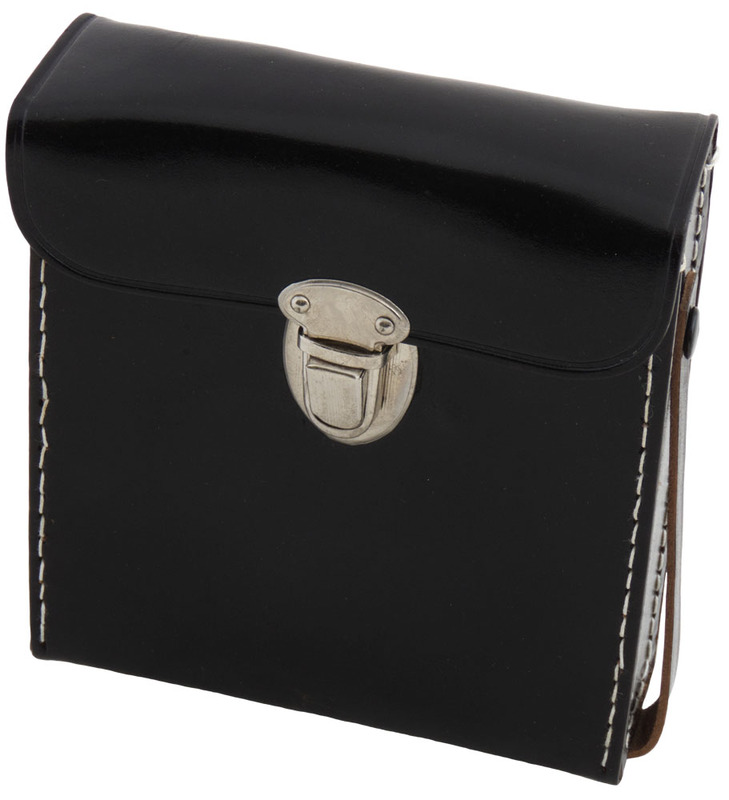 3 internal compartments. 3-1/2"W x 8"H x 4-3/4"D. New in box! 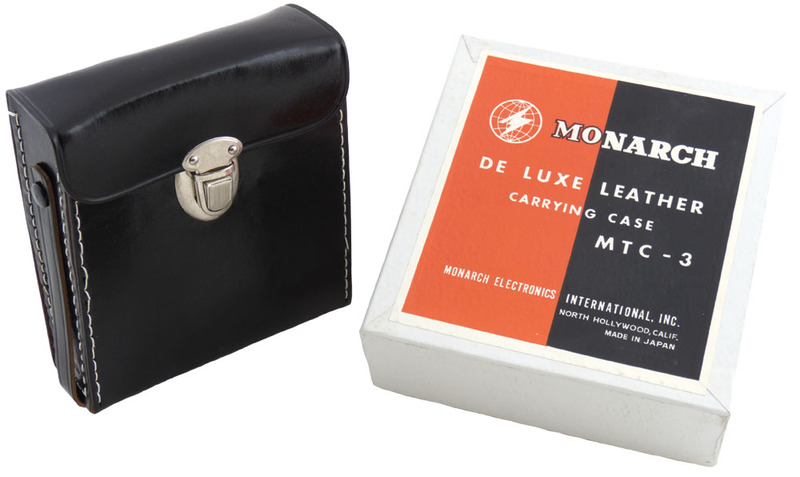 Monarch leather carrying case. 4"W (divider @ 3"). 1.4" deep, 4.6"H. New!